Revel in the wonder of stories old and new, real and imagined, as the City of Wanneroo celebrates Children’s Book Week. Find your own story treasure by participating in a trove of activities during our extended celebration from 18 – 30 August. This year’s theme is Find Your Treasure, with an engaging suite of learning experiences planned across all of the City’s libraries. Local schools have jumped on board, with middle and upper primary students attending sessions featuring local authors that make valuable links to the educational outcomes across the Australian curriculum. Younger students will be part of captivating and interactive Storytime events, with Mayor Tracey Roberts reading to children from Hudson Park Primary School at Girrawheen Library . While the school activities and a special children’s event with Captain Boots are fully booked, it is still a great time to visit any of the City’s libraries and discover the Find Your Treasure displays. Visit the mystery pirate ship at the Wanneroo Library and Cultural Centre, which has been lovingly built and decorated by community members. The 3.5 metre ship will be accompanied by treasure chests made by the Northern Suburbs Men’s Shed (Landsdale). Suggest a name to enter the Ship Title Competition at any of the City’s libraries to win a fabulous prize! Two new exhibitions will also launch at the Wanneroo Library and Cultural Centre starting 25 August, as part of the Find Your Treasure series. 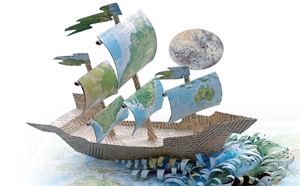 Pirate’s Lair - an interactive children’s exhibition in the Conference Room, with a series of swashbuckling pirate craft activities or discover books on exploration and skulduggery in our reading zone. Stay tuned for more details on these exhibitions!